While we disagree with the sentiment, there are countless articles, reports, and commentary out there that claim that the millennial market is simply not interested in mechanical watches. If that’s the case, then these celebrities are certainly not following that trend. Rolex watches have been a favorite brand of celebrities for decades, and it’s no different with the younger set. Here’s a roundup of some millennial entertainers showing us that Rolex is a young man’s game too. Comedian Pete Davidson started his career doing stand-up and landed a couple of gigs on MTV early on. Today, however, the 24-year-old is best known for being part of the hilarious Saturday Night Live cast. 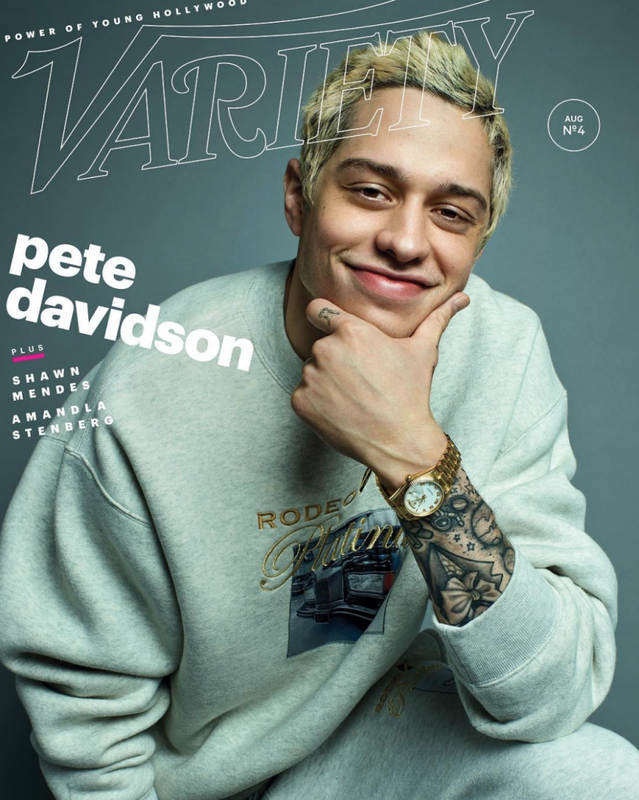 Variety magazine recently featured him on the cover of their “Power of Young Hollywood” issue and Pete Davidson choose to wear a yellow gold Rolex Day-Date with a classic white dial and the iconic President bracelet for the occasion. However, this is far from Pete Davidson’s only Rolex watch. We’ve spotted him wearing several different ones on his heavily tattooed arm including a two-tone yellow gold and steel Rolex Datejust and the newest Sea-Dweller 43 in steel. At just 26 years old, singer, songwriter and producer Charlie Puth has been dominating the pop charts with a string of hits. Like many others of his generation, he launched his career on YouTube and hasn’t looked back since. 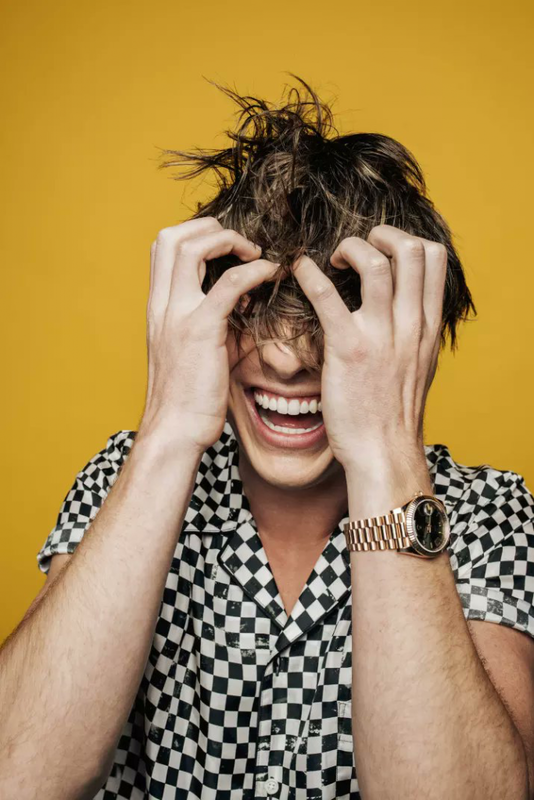 Whether on stage, in a music video, or sitting down for an interview, we often see a gold Rolex Day-Date on Charlie Puth’s wrist. But this isn’t just any standard Rolex President—his is the 60th anniversary Rolex Day-Date launched in 2016. Characterized by an olive green dial, the commemorative Rolex President is the Day-Date 40 ref. 228235 in stunning Everose gold. For those days when a sporty Rolex watch is in order, Charlie Puth also owns a stainless steel Submariner dive watch. Not only does rapper Kendrick Lamar have a dozen Grammy awards to his name, but the gifted storyteller was also awarded a Pulitzer Prize for his album, DAMN. 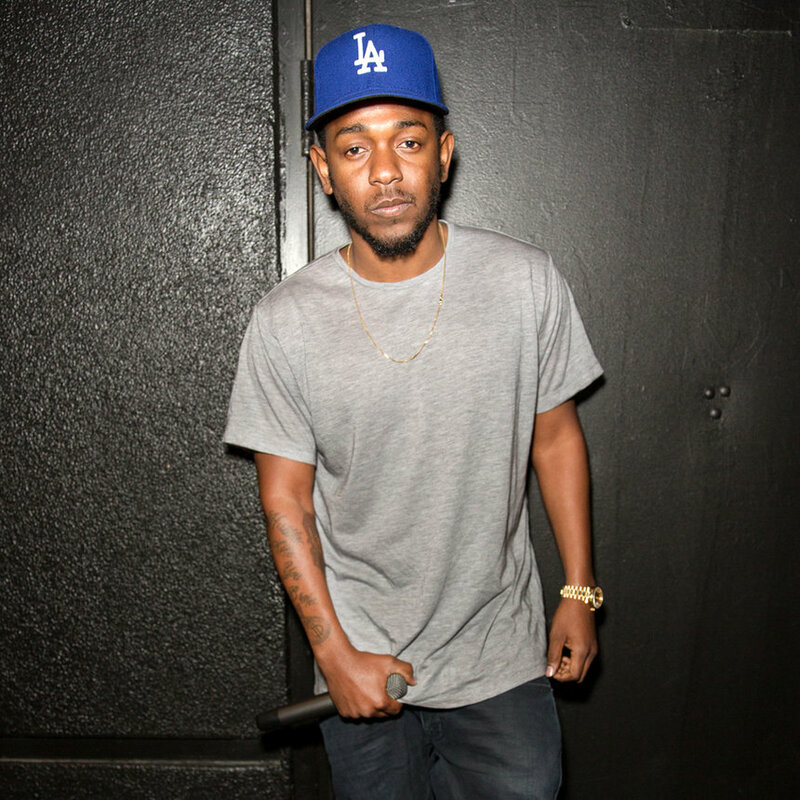 The Compton native may only be 31 years old, but he’s often referred to as the voice of a whole generation. These days we rarely see Kendrick Lamar wearing a watch, but pictures from a couple years back reveal that he often opted to wear a Rolex Day-Date President. A classic choice, Kendrick Lamar’s Rolex President is a full yellow gold version complete with a matching champagne dial. He even sported one in the music video for Poetic Justice featuring another successful millennial musician (and Rolex enthusiast), Drake. Columbian superstar singer, Maluma is undoubtedly looking to achieve the same level of success here in the US after his performance at the recent MTV VMA awards. The 24-year-old has already collaborated with big names like Shakira, Ricky Martin, and French Montana. 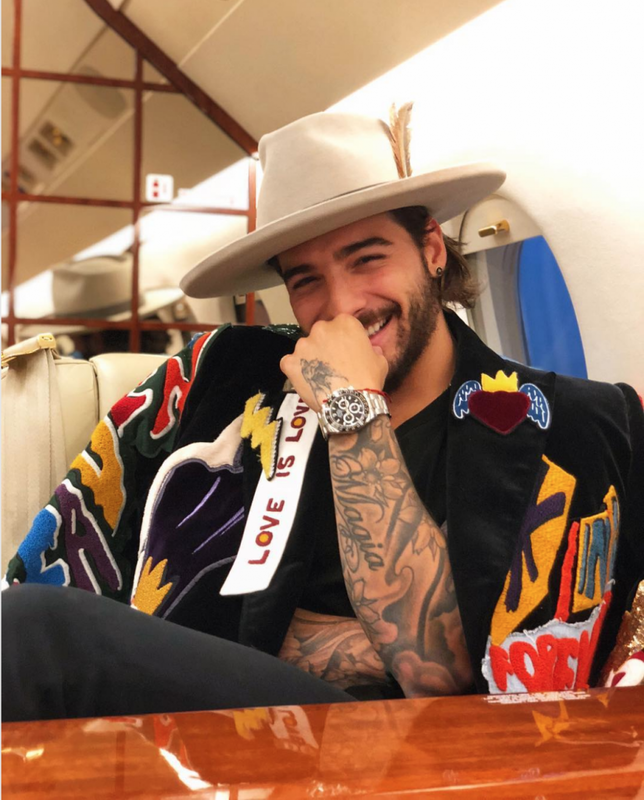 A quick scroll through his Instagram profile—with well over 35 million followers—uncovers that Maluma is a big fan of luxury watches, with brands like Audemars Piguet, Patek Philippe, Richard Mille, and of course, Rolex gracing his wrist. Some standout Rolex watches we’ve spotted Maluma wearing include a white gold Daytona, an Everose Yacht-Master 40 with a rainbow sapphire gem-set bezel, a yellow gold Day-Date 40, and the ever-popular steel and ceramic Daytona chronograph. 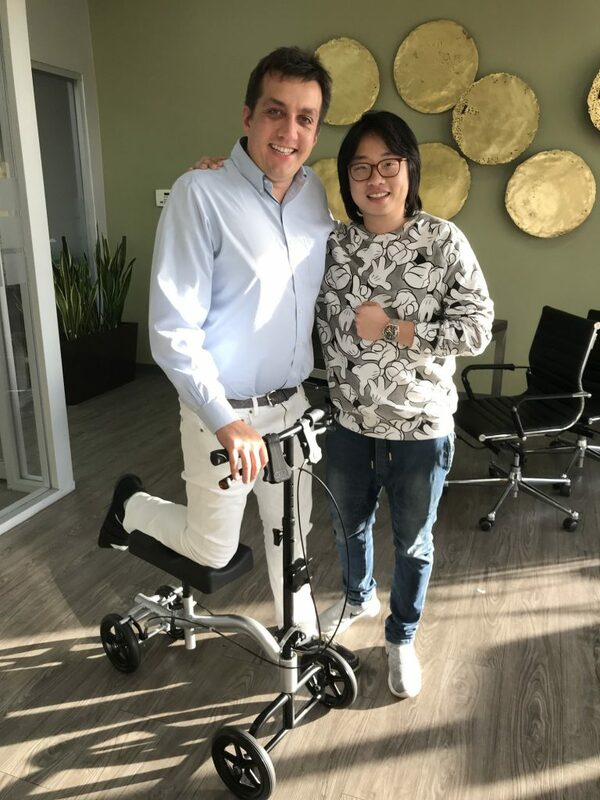 Actor, author, and stand-up comedian, Jimmy O. Yang, has been making audiences laugh since he joined the cast of HBO’s Silicon Valley. This year has been a big one for the 31-year-old—first releasing his book How to American: An Immigrant’s Guide to Disappointing Your Parents, followed by his role in the box office hit, Crazy Rich Asians. While his character wears a Hublot in Crazy Rich Asians, in real life Jimmy O. Yang wears a stunning vintage Rolex GMT-Master reference 1675 with the iconic “Pepsi” bezel in red and blue, which he purchased from our friend Eric Wind at our Huntington Beach headquarters. He credits Kevin Kwan, the author of the book behind the movie, for introducing him to the world of vintage Rolex watches. Now that he has the bug, we wouldn’t be surprised if Jimmy O. Yang adds more vintage Rolex watches to his collection in the near future. Regardless of age, if there’s one thing that many celebrities have in common, it’s a penchant for luxury Rolex watches. The post Celeb Watch: Pete Davidson, Charlie Puth, Kendrick Lamar and More… appeared first on Bob's Watches.